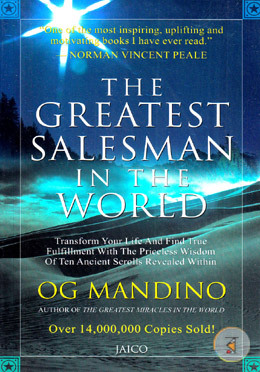 The Greatest Salesman in the World is a book, written by Og Mandino, that serves as a guide to a philosophy of salesmanship, and success, telling the story of Hafid, a poor camel boy who achieves a life of abundance. The book was first published in 1968, and re-issued in 1983 by Bantam. A hardcover edition was published by Buccaneer Books in June, 1993. In 1970, Success Motivation Institute purchased the rights to produce the audio recording. His primary message was to "do it now". In the marking of Scroll IX, "I will act now" is written 18 times. While his messages did have Christian undertones (by referring to Paul as the greatest salesman in the world), it was still a message of repetitive actions to build good habits.